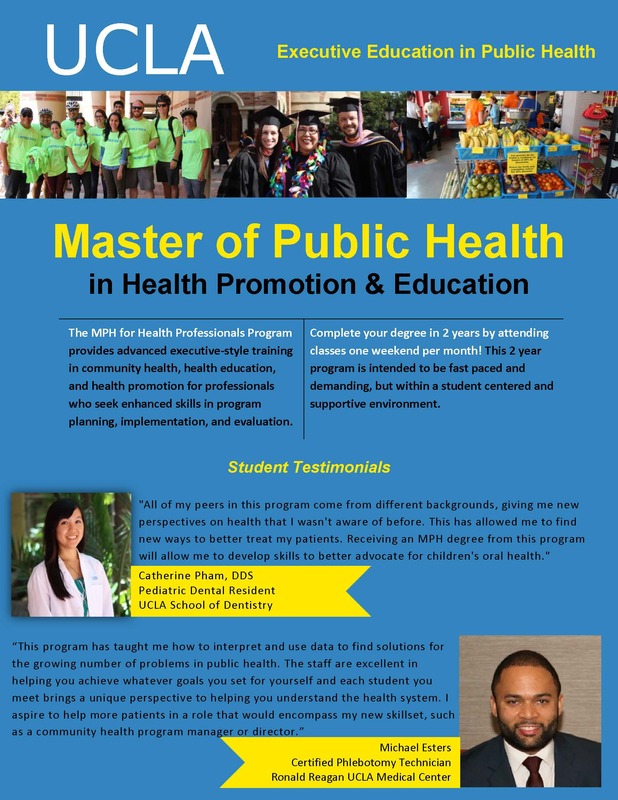 UCLA's Master of Public Health for Health Professionals (MPH | HP) Program is designed for working professionals seeking to attain leadership positions in public health while maintaining a full-time career. Learn the principles, theories, and methods of public health in classes taught by leaders in both public health research and practice. Fall 2019 Applications - Deadline is April 1. Applications for the Fall 2019 quarter are now being accepted. Visit the Apply page for more information. Have questions? Want to know more about the program?